Earlier this summer I sent out a tweet urging all small town store owners in the Peterborough area that I would be visiting the region and would love to come and check them out! Well the Town of Lakefield Ontario, responded in unison. 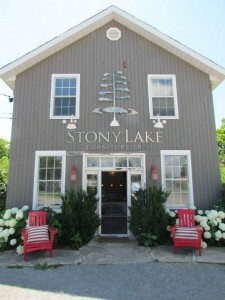 So on the way back from my visit at Viamede Resort in Stoney Lake, we headed for Lakefield searching for small country stores and found a whole lot of them! This was the store that started it all, so I feel compelled to start with it! Lisa Besseling replied to my tweet starting a chain reaction of Lakefield stores all excited to share themselves with us. Inside the store is clean and modern looking but furnished with a mix of modern pieces and rustic custom made furniture. Trees are converted to art hanging on the walls, trinkets and dishes on shelves and into great pieces of furniture. The white interior of the shop is artistically decorated giving you a sense that everything in the store matches despite its origin. Like walking into a room designed by Sarah Richardson but its not … it’s designed by Interior Designer Lisa Besseling. 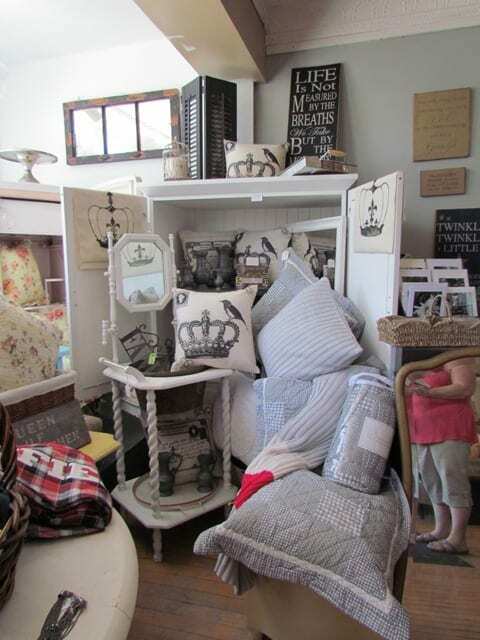 Lisa has been featured in Style and Home Magazine, for her simple and elegant style and her Stoney Lake Furniture Company is filled with lots of interior decorations, furnishings, trinkets and inspiration to spruce up your cottage or home. I love small country stores filled with collectables, souvenirs, inspirational wall plaques and all the little gifts you only buy when you visit a small town. 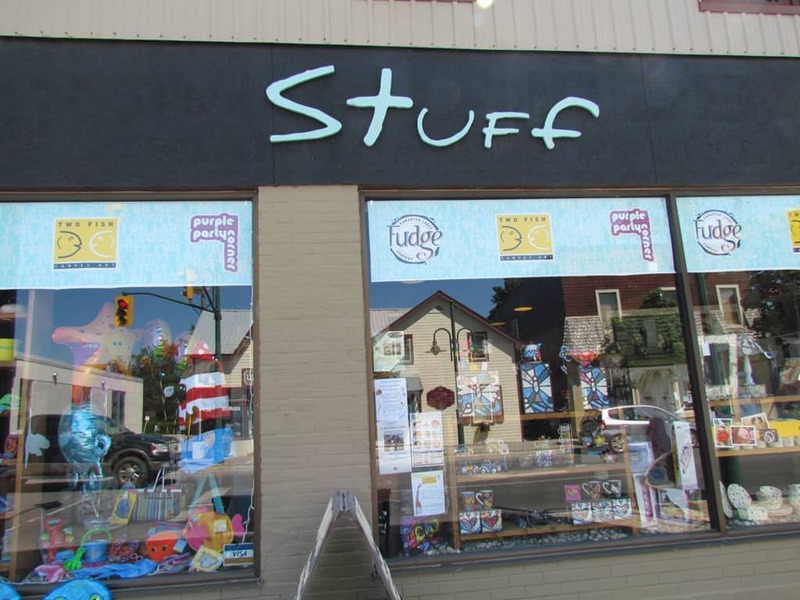 Suff is all this and more … that’s right they even have FUDGE! 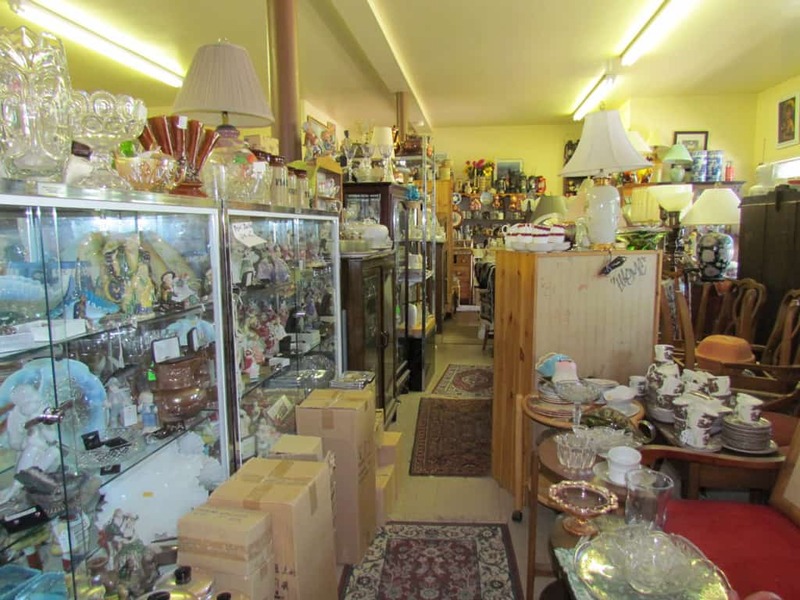 You’ll love browsing through the store searching the walls and shelves for hidden treasures. Ceramics, artwork, hand crafted collectables … trust me its going to be hard getting out of here without buying something. When your done browsing the store, check out the patio of Stuff to Go for a freshly made Panini sandwich. Oh how I loved this store. I didn’t even want to leave Trinkets and Treasures. 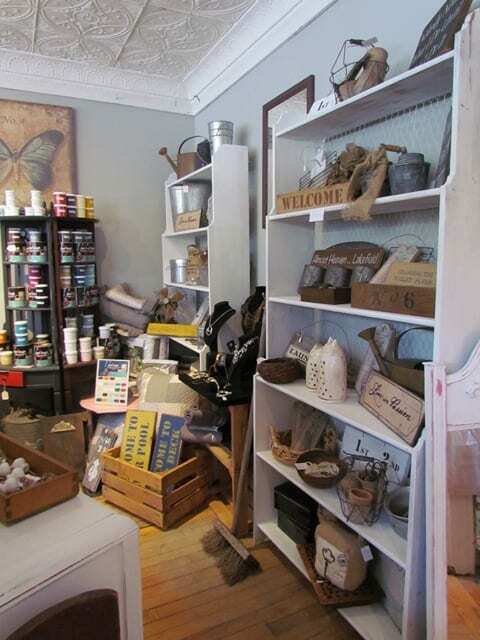 The store is filled with salvaged items repurposed into cute collectables, or if you are a do-it-yourselfer you can buy paints and learn how to restore your own projects. 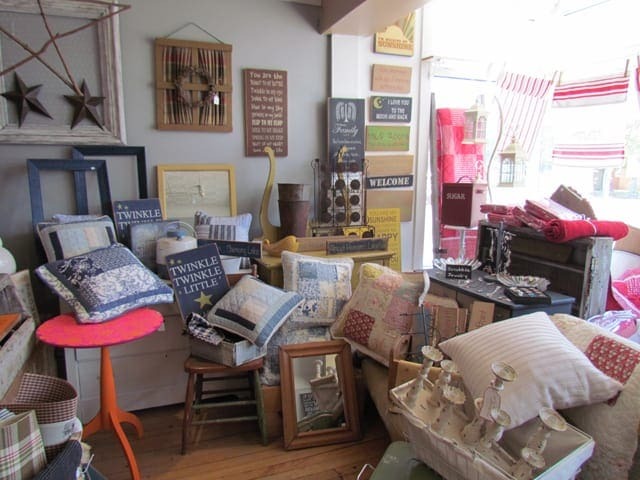 Funny signs, linens and pillows are only a handful of the great finds you’ll find at this awesome store. Proving my theory that every small town in Ontario has a chocolate store, of course Lakefield doesn’t disappoint. 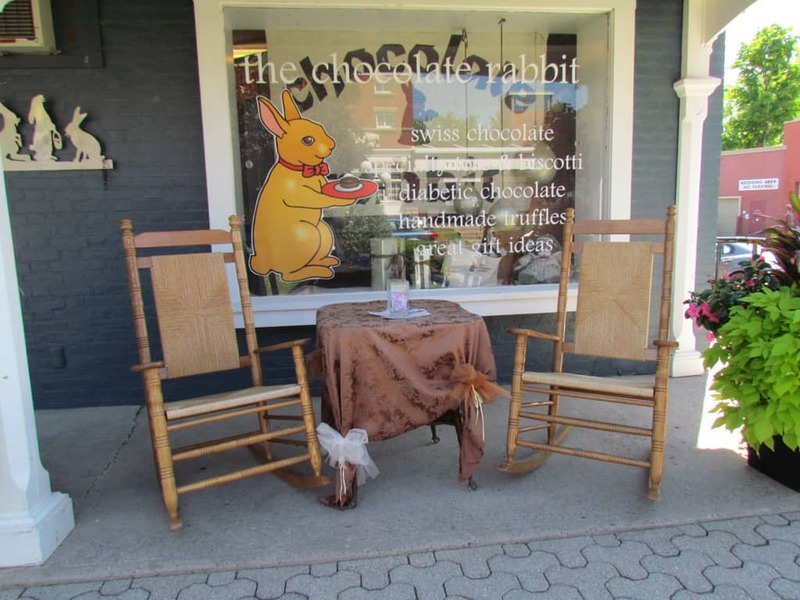 We indulged in some freshly made Milk chocolate at the delightful Chocolate Rabbit. This store however is not just a chocolate shop but also houses a cute Tea shop called the Mad Hatter’s Tea Lounge. 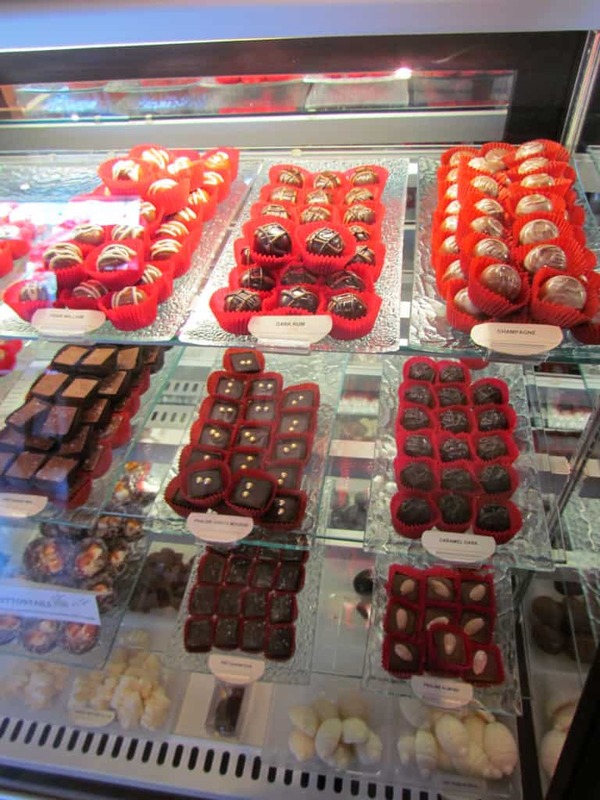 The showroom is filled with chocolate creations baked in their shop daily. You can even get glimpse into their workshop as you browse through the store. 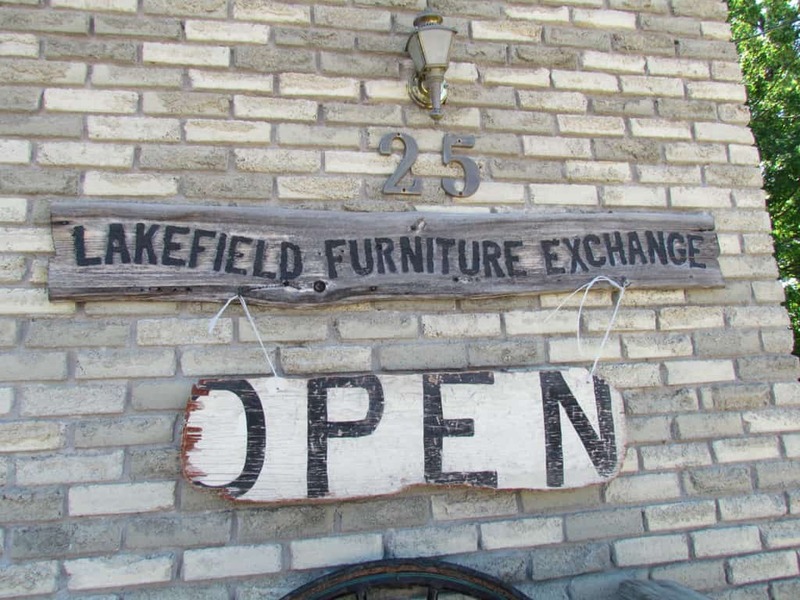 It was a happy accident that we fell upon the Lakefield Furniture exchange. 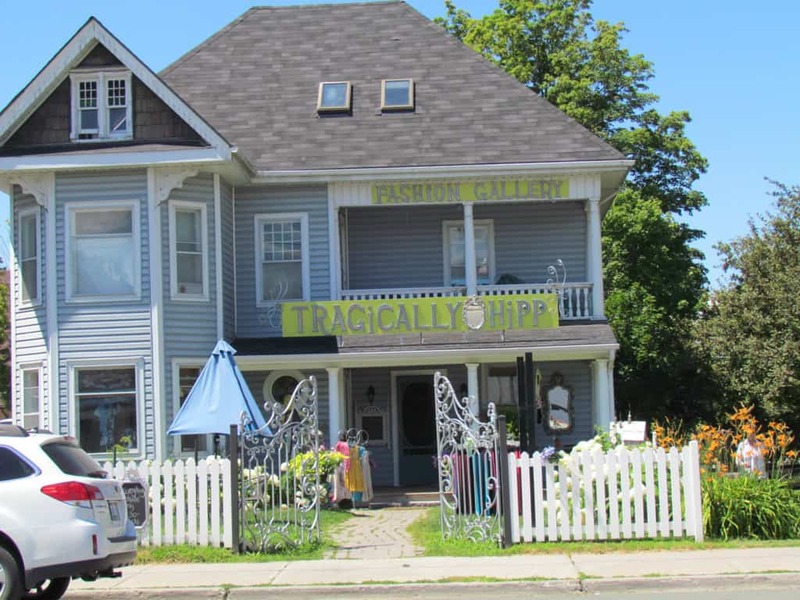 We wanted to check out the action on the Trent Severn Waterway so we walked across the bridge to check out the scenery and tucked away on the other side of the bridge was this awesome store! 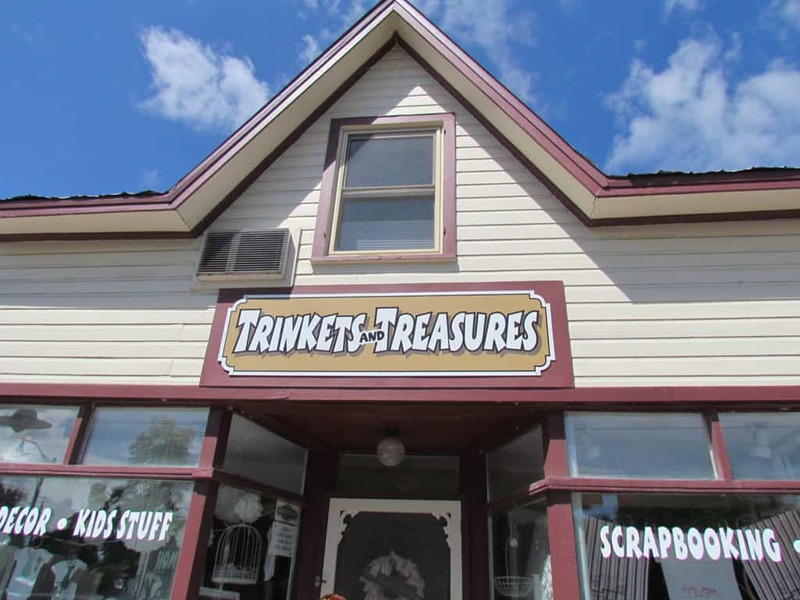 Antique shoppers have to visit this store, it is filled floor to ceiling with treasures at unbelievable prices. Glassware, including Royal China tea sets, cutlery, books, DVDs and videos, beer steins. antique furniture and tonnes more. It was like walking through a time capsule filled with treasures from my childhood and beyond. Glass display cases with priceless figurines and crystal vases and bowls line aisles of merchandise. Jewellery display cases were filled with necklaces, rings and bracelets made of sterling silver and with many different gems. There were old lamps sitting upon old armoires, chairs and paintings… everything was piled one on top of the other, if your a treasure hunter you’re going to love this place! One of my hobbies is simple knitting… I say simple because as of late the most time I’ve devoted to knitting has been to produce a scarf or three. I know there is a bag somewhere in my house with a very outdated coral half done sweater somewhere, but I’m not digging through the basement to find it. But despite my lack of commitment to my knitting craft I still love yarn stores. Happenstance Books and Yarns has been around for 30 years. Changing names and ownership through the time but holding on to its unique blend of books and yarn! I know it seems like a strange mix, but it works in this store with shelves of old books and walls of multi-coloured balls of yarn. 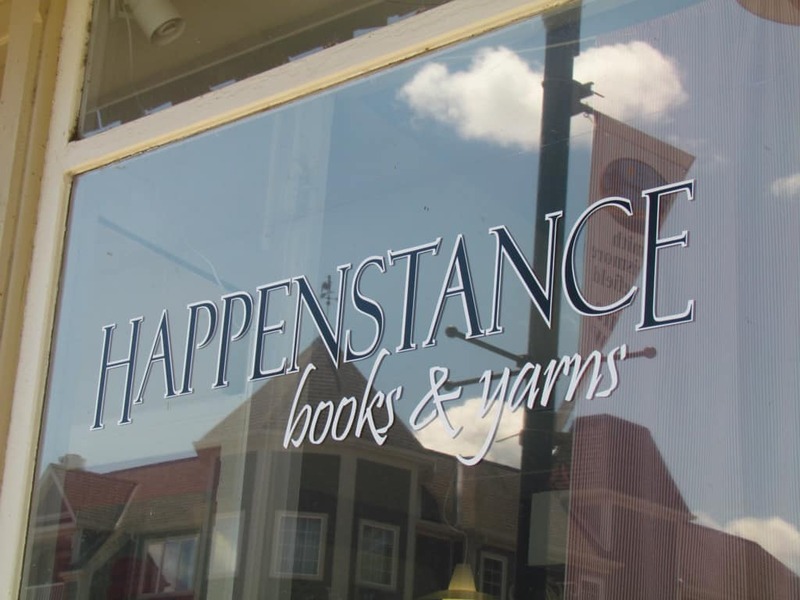 If you are either a book lover or knitter (or both) you should stop into Happenstance and take a look. The Tragically Hipp’s outdoor decor lured us in. Outside it was decorated with beautiful hydrangea bushes, small bird houses with two open iron gates. It’s funky green store sign called my name and I just had to take a peek inside. There the green walls and decor were the backdrop to racks and racks of funky clothes. On the wall are pictures of women who had undergone makeovers courtesy of the store and there is a real awesome vibe as you pass plush purple chairs, handbags on shelves and lots and lots of colourful fashions. I think every single store we visited in Lakefield told us that we had to visit the Nutshell Next Door Cafe and Restaurant. As a travel writer and blogger I know that often word of mouth on a place is the best way to find some amazing travel experiences. So we knew we had to end our visit in Lakefield with a coffee and a treat. 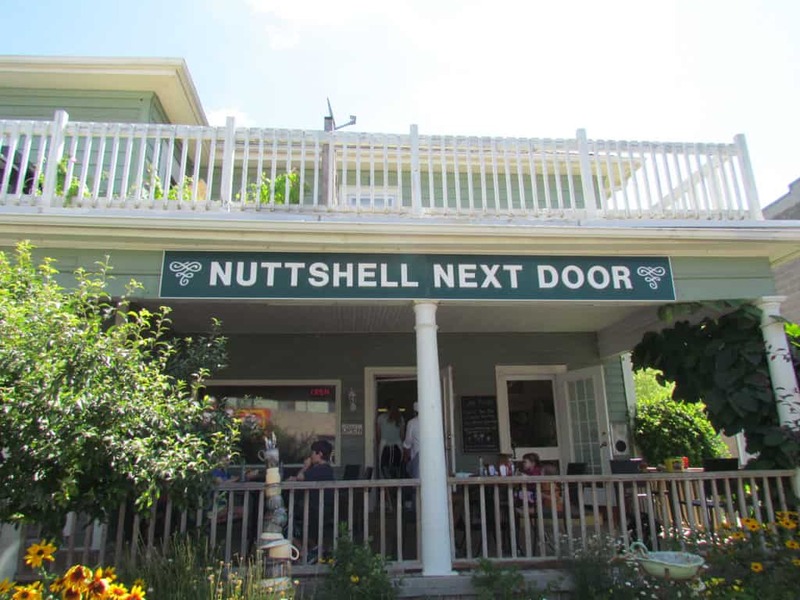 The Nuttshell Next Door features gourmet soups and salads prepared by Chef Jay Nutt and also features some other yummy lunch treats. Nothing like a strong iced coffee and fresh made scone to hit the spot. 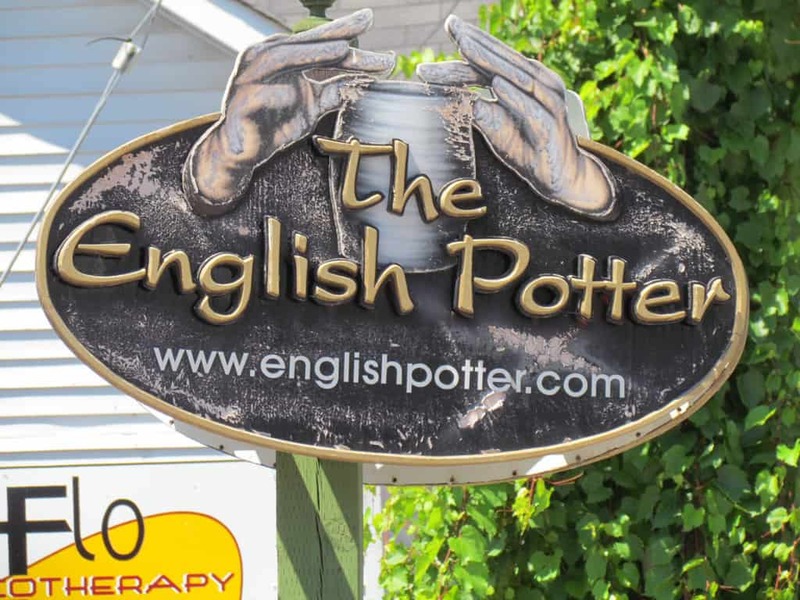 Sitting on the patio we saw the lovely ceramic art from the English Potter herself, and it made me smile at how tight knit this community of store owners are. It shouldn’t have surprised me at how great the Village of Lakefield is to visit. The fact that all the store owners were happy to tweet about it and then take time to talk to me about their stores, their history and their love for the region is enough of a reason for me to go back the next time I’m up in the region again! 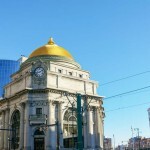 Photos in this post were taken by my travel buddy and good friend Melissa. 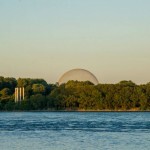 There is so much to see and do in Lakefield. If you plan to come in August be sure to visit August 7 & 8th for the 37th Annual Antique + Vintage Sale & Flower Show at the Lakefield-Smith Community Centre. Hunt for unique antiques and vintage items. Learn tricks of the trade in combining old and modern decorating styles, preserving your family heirlooms, sprucing up your garden and more. Thanks so much for sharing this! 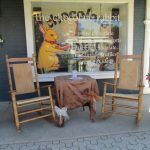 Lakefield is a great place to go for Antiques! I will keep it in mind! Sorry you missed us! 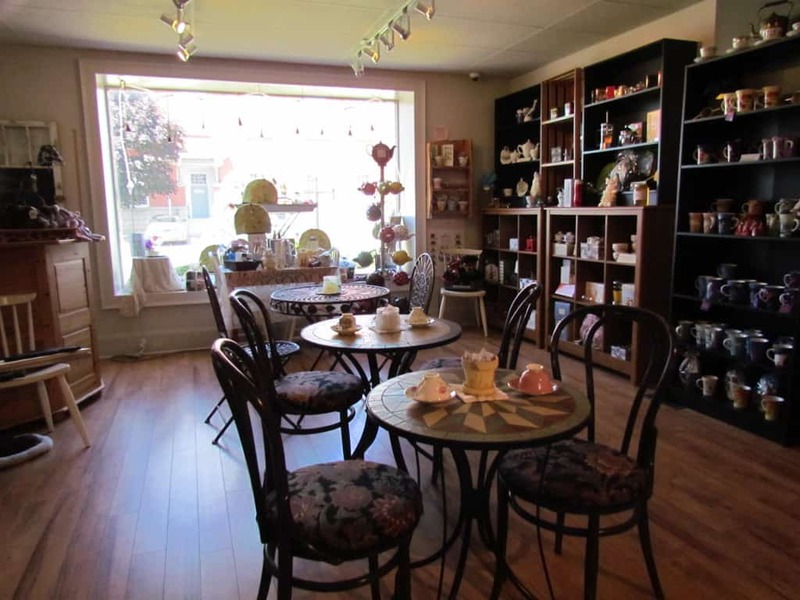 Please make sure to visit Cedar Lane the next time you are in Lakefield! We would love to have you! Yes I agree, Lakefield is a great town for small country shops, great cafe and great people all situated on next the Trent Severn Waterway! It’s picturesque, charming and a wonderful place to visit. I can’t wait to go back! Next time your in our village, we would love to give you an experience at our Salon & Spa. We would love to have the opportunity to indulge you in a sensory journey in the spa or be reinvented in the hair studio! Hope to see you again in Lakefield. Come in and see what other extraordinary business is available here! Hi Rhonda, That would be so fun! I’ll let you know if my road trips pass through Lakefield again in the future! Thanks for stopping by the site.